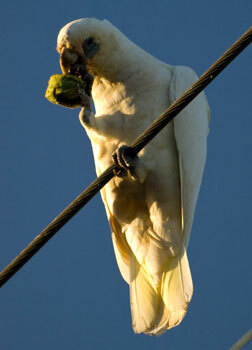 You are currently browsing the tag archive for the ‘Inner West Courier’ tag. Arlington Oval, though the 2 Sydney Blue Gums on the left have been removed. At the Council Meeting of 25th October 2012 Mayor Macri asked Council staff to prepare a report on the condition of the turf of Arlington Oval after a football club requested that Council install synthetic turf. 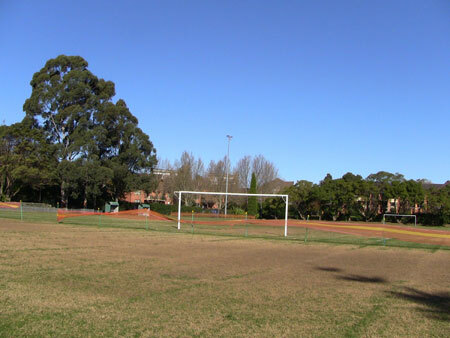 The community fought a long battle not to have Arlington Oval covered with artificial turf only 3-years ago in 2009. It is made from petroleum products ie. recycled car tyres & frequently contains heavy metals such as lead, aluminum, chromium, copper & sulphur. Although I understand why many clubs want more reliable plastic surfaces, I strongly believe that Arlington Oval & other parks are multi-use facilities for the whole community, not just the sporting clubs. I also believe that the community should not have to continually fight against issues that have been decided upon in recent years. 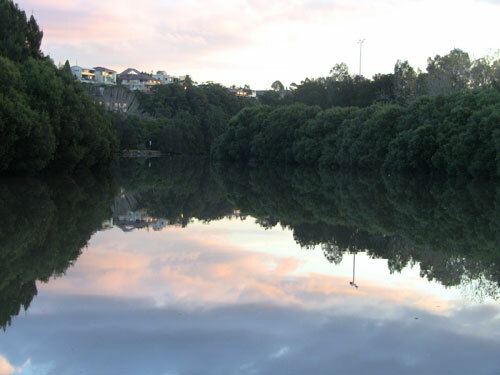 Cooks River from the Illawarra Road bridge in Marrickville – a great place to watch a seal. This week Marrickville Mudcrabs sent me two emails about other sightings of a seal in the Cooks River. 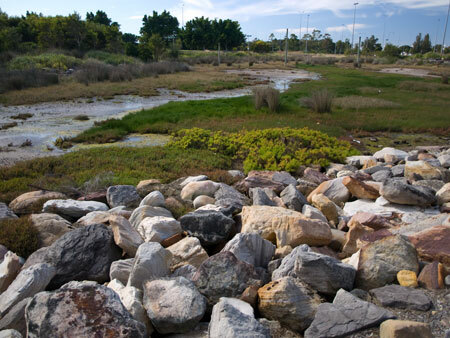 One seal was seen swimming & feeding in the river at Steel Park Marrickville. It appeared to be eating a mullet. After finishing eating it swam towards Tempe. Another sighting of the seal happened yesterday & was at the Illawarra Road bridge in Marrickville. The seal was estimated to be about 1.7metres in length & spent a lot of time under water coming up for a few breaths of air before descending again. Several other people also saw the seal & reported this to Mudcrabs. If this isn’t amazing enough, a large shark reported at over 2-metres was recently seen in the same area. The NSW National Parks & Wildlife Service told the Inner West Courier that people should stay 40-metres away from adult seals & 80-metres away from pups. Although seal look sweet with their beautiful big brown eyes, they are strong animals & they do bite. So do sharks. Best to keep your dogs out of the river for a while with sharks about. Showing only a small number of the cormorants out fishing that day. There was some interesting news in both local papers this week. 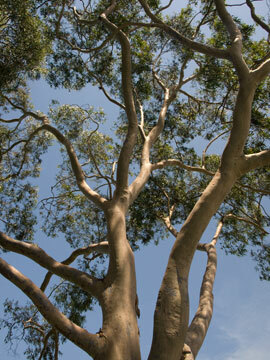 This is one example of the many street trees in Hurlstone Park that were pruned for cables just before Christmas. It was quite a shock to see. 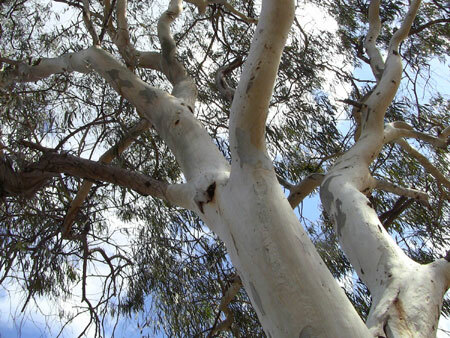 Marrickville LGA has a new website titled – ‘Poisoned Tree Diary.’ This website is documenting the poisoning of a mature White cedar tree in the back garden of a house at Camperdown. 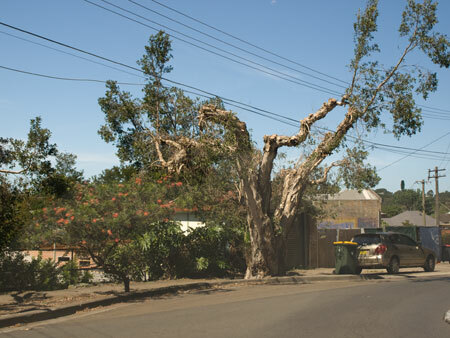 “A few weeks ago a neighbour of mine let me know about this tree poisoning, & so I checked it out & let Marrickville Council know. Having now discovered Council isn’t very willing to act, I’ve decided to start this diary. ‘Poisoned Tree Diary’ has 3 entries since starting on 5th May 2011. The last entry shows evidence of how the tree has been poisoned. Please visit ‘Poisoned Tree Diary’ & have a read. It would also be good if you could participate in the website’s campaign. 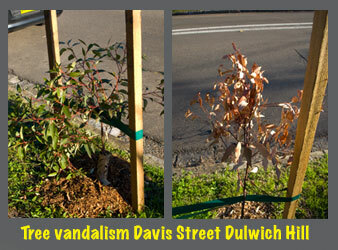 This is our opportunity to say to Marrickville Council that we want them to be more proactive about the issue of poisoning & vandalism of trees across Marrickville LGA. If prosecuting is difficult, Council can embark on a campaign of community education. 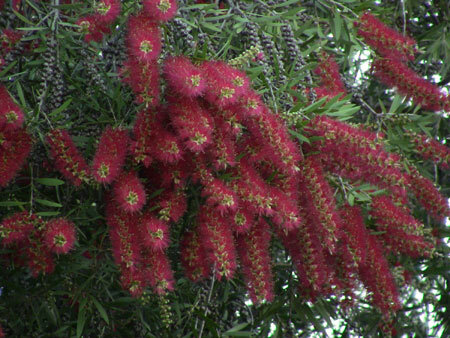 They can make sure that the community is fully aware that poisoning trees, even on private property will not be tolerated. Other Councils in Sydney do, so we know it is appropriate & that it can be done. 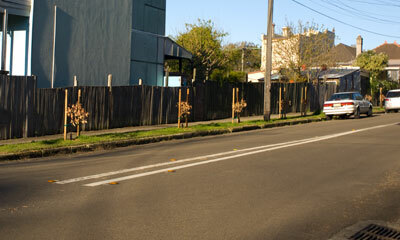 Recently we visited Leamington Avenue Newtown & as we drove there we saw something fantastic. Either NSW Rail Corp or City of Sydney Council has erected a concrete wall between the raised section of the railway line and the nearby houses, presumably as a sound barrier for the neighbourhood. What makes this so fantastic is, it is not just a concrete wall or a decorated concrete wall, it’s a green wall. At regular intervals, steel mesh going up 5-6 meters high has been attached along the wall & Chinese Jasmine is growing. Not only does this make the wall look good, but the vines are designed to cut down the Heat Island Effect created by the sun bouncing off the concrete. When the Chinese Jasmine flowers around Christmas it will look spectacular & smell great as well. This is such a simple & cheap intervention, which begs the question, why this isn’t done elsewhere as the norm? He went on to say “I think it is a landmark development that shows confidence in the future of Marrickville.” He said the development was approved both by Marrickville Council & the JRPP. He also said “Design is subjective,” going on to say that the development was designed by an award-winning architect. Mr Woodhouse then wrote about various factors of measurable design excellence & said, “On all accounts this mega-project fails.” I agree. My impression was that all those who spoke against the project at the JRPP Meeting were against the design aspects of this building & judging by the applause after every speaker so were the large group of local residents who attended. Why would the JRPP listen to the community when the development had been endorsed by Marrickville Council? It’s not my aim to go on about the development on the old Marrickville RSL site because it is going to happen & there is nothing we can do to prevent this. What I do want to discuss is the information Clr Macri’s letter gave the community. He said Marrickville Council approved this development & that “this building under the new LEP will be an underdevelopment. …“ Add these statements to his earlier statement of “… it is a landmark development that shows confidence in the future of Marrickville.” & it tells me that Marrickville Council fully intends to give the okay to many more developments that not only look like the development for the old Marrickville RSL site, but are as high, as dense & bulky as this is. I am worried. Clr Marcri also gives notice that the new Draft LEP about to be released for public consultation will not be making green buildings or green design mandatory. I think this is very important when you consider that Marrickville, Illawarra & Petersham Roads will become between 6-9 storeys high with 13 storeys recommended for the old Marrickville Hospital site. We have known Marrickville is going to change as well as other areas around the LGA, but designs that are compatible with the old pre-climate change/ pre-global warming paradigm is not something I am happy about. 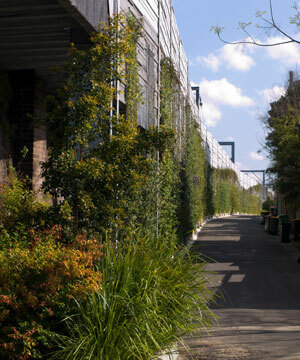 When I see green walls for a railway line wall, yet the newest residential building declared a landmark & most likely used as a benchmark for future development has 180 air-conditioned units, not counting the retail space & 4 street trees along the Illawarra Road frontage & none for Byrnes Road I feel a little ….. When I remember the dismissive attitude to solar panels & a green roof during the JRPP meeting my blood starts to boil. I’m a realist. I know Sydney as a whole is going to change. I read last year that the NSW state government wanted the industrial area next to Marrickville Metro to hold around 9,000 plus residences. Don’t quote me on this. I didn’t save the article & I cannot find anything about it now, though I know I didn’t dream it as I have spoken to a couple of others who also knew of this plan. I was told that a recent application to have the area rezoned residential was unsuccessful. I’ll predict here that this area will be rezoned residential one day in the not-too-distant future & I bet AMP Capital anticipate this, like the M6 planed someday for Edgeware Road just 1 block away. High-rise residential is coming to Marrickville LGA & it will be dense & tall. Now that the world is talking about global warming & climate change wouldn’t you think that both the Council & the architects would make the shift to the new paradigm when designing new buildings meant to last the next 60-100 years? If not, why not? Why has Marrickville Council said any development for the old Marrickville Hospital site has to be a 6-star sustainability rating & yet they have not required this for any other high-rise residential building across the LGA. I’m baffled. The signage for the development at the old Marrickville RSL is, “The Revolution Begins.” We need our Council to ensure that the ‘Revolution’ follows the climate change paradigm that insists future developers create a true revolution by designing green buildings. Green walls are not rocket science, yet their benefits are outstanding. Heat is not reflected thereby lowering the Heat Island Effect. They lengthen the life of concrete, they look good, they improve the streetscape & make ugly areas pretty, the prevent or significantly reduce graffiti & they are almost as good as trees in the benefits they bring. Psychologically they would do much to break down the oppressive feelings tall buildings can often bring. Lastly, they are cheap to create. This is a huge win for the community group Tempe 2020 & a huge win for all the trees & the Tempe Wetlands that would have been destroyed had the 4-lane highway gone ahead.